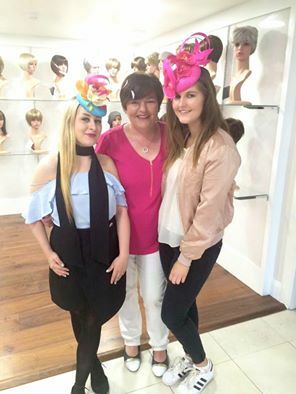 On Friday I attended the #PopOfPink charity fundraiser event in aid of Breast Cancer Research at Bellissimo hair and beauty emporium in Galway organised by Sinead Carroll founder of itwbn, Irish Blogger Agency and Mini Media. I met with my friend who is also a blogger Jenny from Style Sanctuary before hand so we could go to the event together. Bellissimo has the most beautiful white interiors and is probably one of the prettiest salon's I have ever been in and on the day they added touches of pink with a pink carpet leading into the event, pink balloons and displays and accessories. The event kicked off with healthy juices and snacks sponsored by Little Pea Juices. The juices were delicious and so refreshing. We also got to try little tubes of fruit and coconut yogurt. 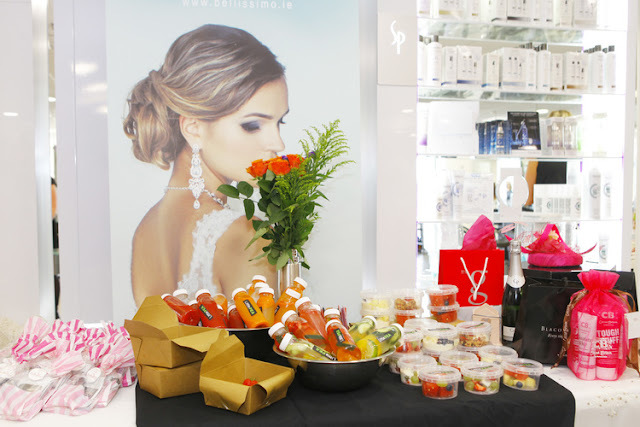 The first 30 people to attend the event were gifted #PopOfPink goody bags that consisted of System Professional shampoo, Physicians Formula lip gloss, two Wet'n'Wild lip glosses and a voucher to use in Bellissimo. A number of local designers and businesses were very generous and sponsored spot prizes on the day. 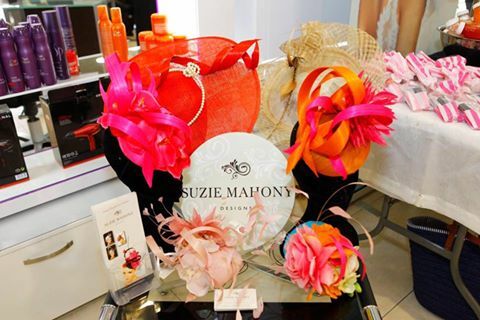 The first prize was a beautiful hat by award winning milliner Suzie Mahony. 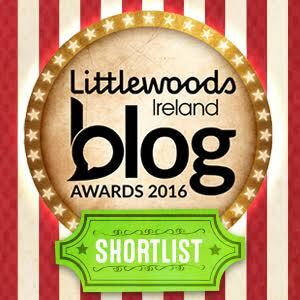 The G Hotel, The Connacht Hotel, Blacoe, Tribeton, Eye Cinema, Anthony Ryans, Cappagh Stores, Stuff 4 Cakes, Treats and Trinkets and Cocoa Brown also sponsored gifts for the raffle. 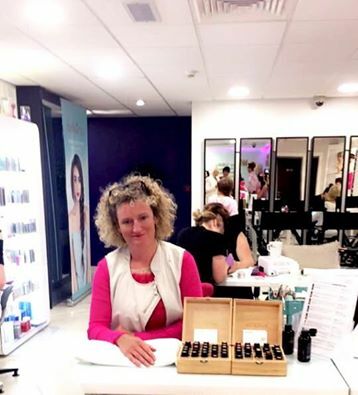 Dolores from Irish Health Hour pampered us with the most wonderful Aroma Hand Massage while some of the team at Bellissimo treated us to the prettiest pink polish. The kids were also in for a treat as face painting was also available throughout the event. The event was so fun, I had a really good time. 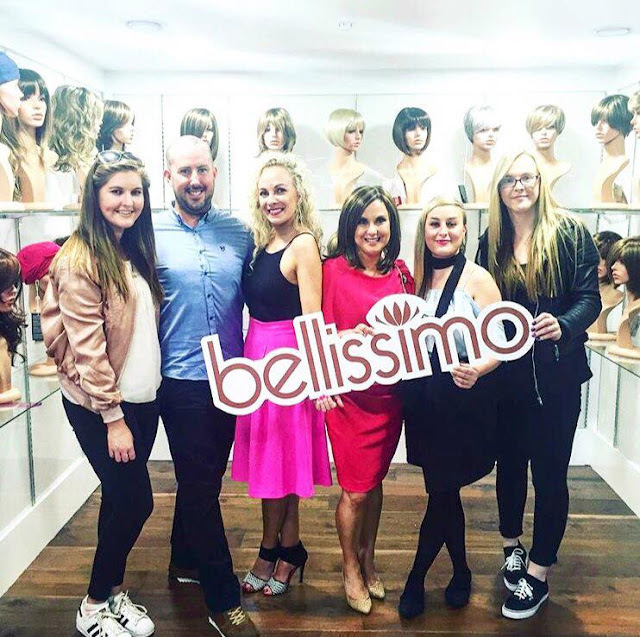 It was really lovely to see how many people came to show their support and how much work both Sinead and the team at Bellissimo put in to organize such a successful event.